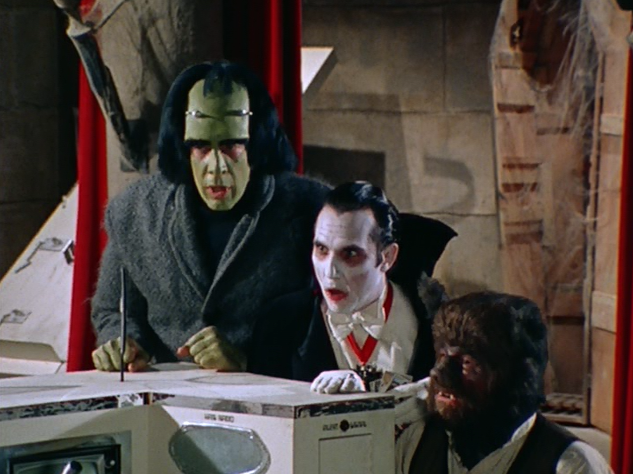 John Kenneth Muir's Reflections on Cult Movies and Classic TV: Saturday Morning Cult-TV Blogging: Monster Squad (1976): "Mr. Mephisto"
Saturday Morning Cult-TV Blogging: Monster Squad (1976): "Mr. Mephisto"
In “Mr. Mephisto,” the Monster Squad goes up a cunning hypnotist (Barry Dennen) with the ability to bend anyone to his diabolical will. 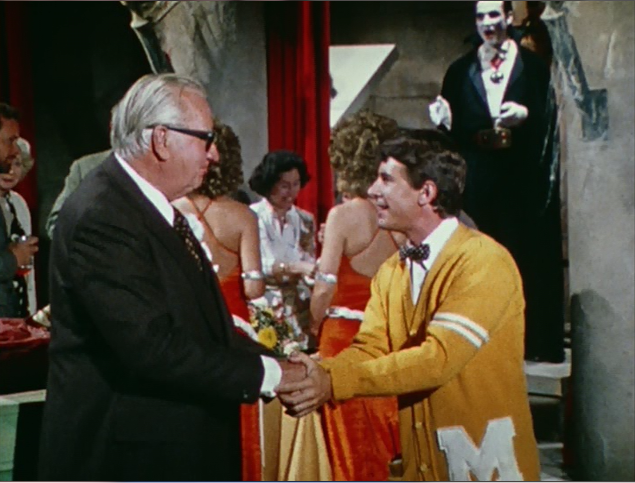 In this case, Mr. Mephisto hypnotizes the town mayor, Goldwyn (Edward Andrews), and makes the hoodwinked public official raise property taxes on everyone in the city. Specifically, Mephisto uses a device called a “magical-type-a-tongue” which allows him to put words in the mouths of his victims. 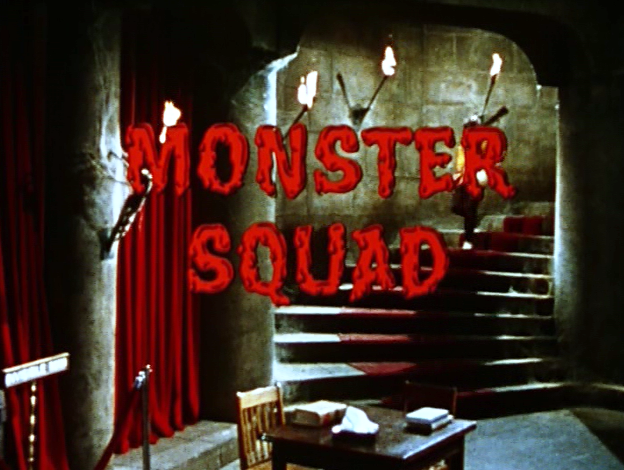 This week’s episode of Monster Squad (1976) is another Batman-(1966 – 1969) –on-the-cheap-styled show, one with an exceedingly campy tone, a colorful villain, and a deadly “cliffhanger”-type menace (the sausage maker). The Batman-template, alas, doesn’t really do Monster Squad any favors in the long term. High camp gets old very quickly, and the same tone prevents the characters from really coming to life as anything other than walking jokes. “Mr. Mephisto” is commendable, perhaps, for its many jokes about politics and politicians. One such joke is about the sausage maker, since sausage-making is often a term utilized in relation to drafting legislation. In other words, you don’t want to know what goes into it. Secondly, “the magical-type-a-tongue” device suggests that politicians are generally just mouth-pieces for hidden but powerful interests. Devoid of belief or feeling, they just say what they are told to say. Granted, such commentary is pretty cynical for a Saturday morning kid’s show, but it is also, sadly, often accurate. These moments give adults something to latch onto, while the high camp silliness runs out of control. “Mr. 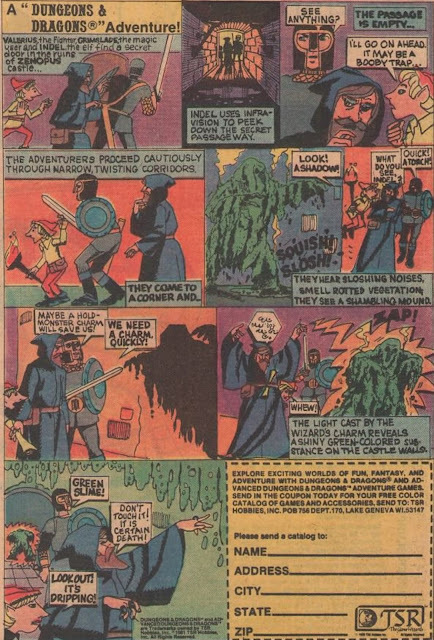 Mephisto” also features a mention of “Sid and Marty Kraft,” a nod – or perhaps tribute -- to Monster Squad’s key competitors in the Saturday morning TV market: Sid and Marty Krofft. As was the case with “Queen Bee” last week, the production values here are particularly threadbare, and Barry Dennen doesn’t make much of an impression as the villain, especially compared to his life-sized dolls, Baby (Cathy Worthington) and Arlene (Mindi Miller). Edward Andrews (Gremlins ) does well here as the good-natured but vapid Mayor Goldwyn but otherwise this episode of Monster Squad doesn’t hold up particularly well.